Selected as Best Science Book for grades 7-12 by the Society of School Librarians International; included in the Best Children's Books of the Year from the Children's Book Committee at Bank Street College of Education; selected as an Outstanding Science Trade Book for Students K-12 by the National Science Teachers Association and Children's Book Council. "Thoughtful and informative discussion of antibiotic resistant bacteria. 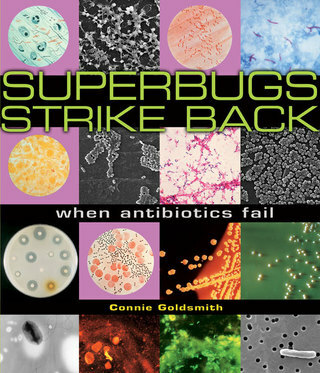 An engaging introduction to superbugs." "Meticulous without being tedious, thanks to an engaging writing style." "Clearly and succinctly explains the problem of antibiotic resistance; colorful and easy to read."